Boris Becker fears that tennis could be lacking big personalities in the near future if Roger Federer and Rafael Nadal call time on their careers. 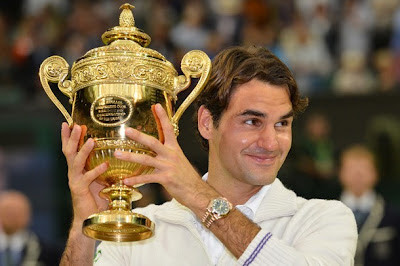 The six-time grand slam champion captured the public's imagination with his youthful charisma and thrilling playing style during an exciting era for the sport. Becker regularly battled against a number of big characters as the likes of John McEnroe, Pat Cash and Andre Agassi drew in huge crowds. The modern generation of male players have also strengthened the image of tennis and there is huge expectation surrounding this year’s Wimbledon tournament, with Federer, Djokovic, Murray and Nadal targeting the title. But Becker, who coaches Djokovic, has raised concerns about the shortage of consistent challengers outside the top four. "I think the men's side is in a very healthy state, we have an increase in popularity from over 10 years ago and the numbers are staggering," he said. 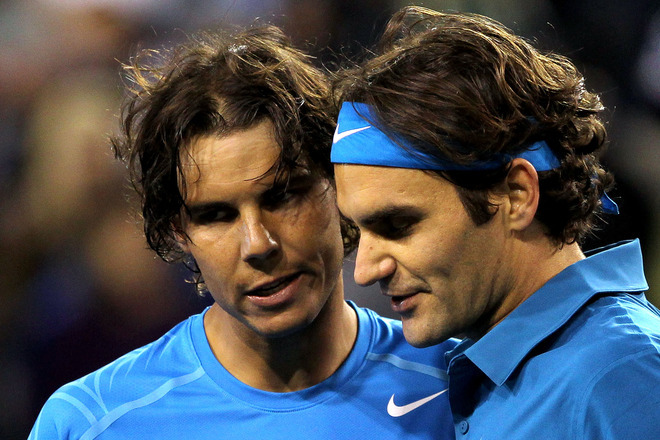 "But the question has to be asked: what if Roger decides to quit or Rafa is not coming back? It's impossible to carry on with only Novak and Andy. "You have a young group of Australians - Nick Kyrgios, Thanasi Kokkinakis, who have good personalities and are interesting to watch, but there's a gap in between of players you don't know anything about. In two or three years' time, we have to be careful." Earlier this month, Murray issued an apology after microphones picked up bad language during his third-round win over Kyrgios at the French Open. Becker believes the current stars of the ATP tour could be forced to repress their personalities due to the intense media scrutiny. “Nowadays everything is so supervised and so observed and everybody is very judgemental," said the 47-year-old, who was nicknamed 'Boom Boom Boris'. "We live in a day and age where players have to be guarded a lot, in who they are as people. "There's microphones on the court and social media so there are a lot of occasions when players have to guard their emotions and that's unfortunate because you want to see the real person. "I admire very much the current crop of players and I think the big four are exceptional players with exceptional personalities, but there are so many more in tennis who cannot really show their true sides because they are so protective and so careful." This year’s Wimbledon winner is expected to come from the top four in the world and Becker - a three-time title holder - is predicting an enthralling fortnight. "I think there's a very strong rivalry between Federer and Djokovic and between Djokovic and Murray and between Nadal and Djokovic," said Becker. "These are the matches that everyone is looking forward to. Those are the rivalries that make the sport, that everyone is fascinated by. "For a long time it was Roger and Rafa, even though Rafa won most of the matches, but last year we had a couple of really good matches between Andy and Novak and I think those are the matches which make the sport special."